How do I determine the price to ask for my home? What expenses will I have when I sell? Can I save the commission by selling on my own? What will a broker do that I can’t? What’s the benefit of the MLS? Why all the complicated forms just to list my home? Why would I pay a buyer’s broker? What can I do to achieve top dollar for my home? Who should I list with and why? What if I find the buyer myself, can I save the commission? Why isn’t my home being shown? The offer is so low do I have to respond? Why is there so much paperwork to sell? Don’t I automatically get 30 days possession after closing? Is the buyer pre-approved or just pre-qualified? Is it sold or isn’t it? Why has the home inspector “picked my home apart”? What if I don’t agree to all those repairs the buyer requested? How do I purchase another home while mine is under contract? There are several steps you could take, including visiting open houses, looking in the HOMES Magazine, searching the Internet, call on For Sale By Owner properties or inquiring at local real estate companies. Unfortunately, all of the previous methods typically only provide asking price, which can be substantially different from selling price. The 2 best methods would be 1) an independent fee appraisal through a licensed appraiser or 2) Competitive Market Analysis (CMA) performed by a licensed real estate professional. The fee appraisal will cost anywhere from $200 to $500. The CMA will generally be a less detailed version of a fee appraisal, but the results should be very close. Both methods use properties that have similar characteristics as your home that are currently active on the market and recently sold properties. Expenses are somewhat controlled by the purchase agreement you have with the buyer and the type of financing, if any, the buyer will be using, Typically, you will be responsible for paying real estate taxes to the date of closing, real estate transfer tax (currently .086% in most of Michigan), an Owner’s Policy of Title Insurance, well and/or septic inspections and real estate brokerage fee. You might also be asked to assist the buyer in purchasing your home by paying some of the buyers closing costs. Although this may seem strange to you, many buyers, especially first timers, are cash shy and their expenses to purchase can be a stumbling block. While it is very possible to save the commission and take the do it yourself method, statistics indicate that homes generally sell faster and for a higher price when the services of a real estate professional are used. Just as you might not self diagnose and treat physical ailments or employ the services of a competent professional in your taxes or financial planning, you probably should not consider selling on your own. After all, your home may be the largest single investment in your life. There are plenty of reasons, but let’s start with providing expertise in pricing. Although the old axiom in real estate is location, location, location, it’s also price, price, price! The real estate professional has many tools at their disposal, including the Multiple Listing Service (MLS), HOMES Magazine, the Internet, yard signs, but the biggest single thing is contact with potential purchasers. 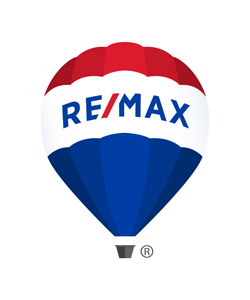 A RE/MAX sales associate also will have a personal financial stake in the sale of your home since they will be responsible for not merely the advertising creation, but the ongoing expenses. See agent profiles. The Multiple Listing System (MLS) allows participating REALTOR firms to place their seller’s homes on a computerized database providing access to information to other real estate licensees about those homes. The MLS in southwest Michigan covers a large geographic area, from Indiana on the south to Muskegon on the north and from Lake Michigan on the west to nearly Jackson on the east. There are over 2,700 members currently participating. As we all know, the world has become more complex and it’s true in the real estate industry too. The listing agreement spells out the obligations of you to the broker and vice versa and how long a term the broker may have to market your home. If you are selling a 1 through 4 family home, you are required to complete a Seller’s Disclosure Statement. This document will provide information to the buyer so they may make an informed buying decision. The Lead Based Paint Disclosure is a form that is mandated by the Federal Government for properties constructed prior to 1978, which was the year the use of lead in paint was prohibited. The standard listing agreement provides for various commission amounts to be advertised to cooperating brokers through the MLS. Although a buyer’s broker will be looking out for the best interests of their buyer-client, the compensation paid to the selling broker could be considered as part of the marketing fee for locating a buyer for your home. Your real estate professional can usually point out items in and around your home that can increase it’s marketability. First impressions are critical, so be sure your lawn is well kept, bushes and hedges trimmed, and either fresh paint or pressure wash the siding. Inside, fresh paint, neutral decorating, and eliminating clutter, which may necessitate renting a storage unit to remove some of the extras you may have. Of course a RE/MAX sales associate! They typically outsell the competition up to 4 to 1 and average more than 10 years of real estate experience. Why not take advantage of national advertising and name recognition. The award winning, red, white and blue sign in front of your home does bring results! See agent profiles. If your home is listed with a real estate broker, more often than not, the buyer found out about your home through the efforts of the REALTOR and the brokerage. Sometimes buyers will approach a seller directly, trying to obtain a better deal for themselves. One of the reasons for hiring a REALTOR is to help be a negotiator on your behalf and look out for your best interests. I’ve listed my home with a broker, they put a sign in my front yard, but I haven’t had any or just a few showings, why? Sometimes it just takes a little patience while the marketing efforts kick in. Hopefully your REALTOR discussed marketing time with you when you went through the CMA and MLS statistics of time on market. Have you completed your “homework” of whipping both the exterior and interior of your home in shape? It’s very possible that inquiries have come to your REALTOR or to other agents via the MLS and buyers may be driving by to check out the exterior. Does your REALTOR use brochure boxes to market? If so, how many fliers have been removed? First, be happy that you have received an offer! Some buyers use their first offer to seek out a seller’s bottom line, sort of “testing the waters.” With any offer from a buyer, you really have 3 basic choices, 1) accept it as written, 2) counter-offer with terms that better suit you or 3) do nothing. If all the terms and conditions of an offer work for you, then opt for acceptance. Most REALTORS will recommend you give a counter-offer back to a buyer as opposed to a flat-out rejection. Keep in mind that when a buyer makes an offer on your home, they are less concerned with your needs than their own, but may consider a compromise if your response can somehow dovetail into theirs. This is where your REALTOR can really help by using their negotiation skills. The Buy & Sell Agreement when completed will become the “roadmap” for your home sale. The standard language is designed to be somewhat neutral, not favoring either party, but helping protect all parties. There are loads of little details that contribute to a successful sale, it’s not just price! It was a very common practice to allow a seller to stay in the home for some period of time following the closing, but as the price of homes have increased, buyers have been looking towards quicker possession. Once the closing has taken place, you as the seller have received all your equity and are living in the buyer’s home, while they are making the mortgage payments and paying the taxes. In order to provide for a more equitable situation, sellers are often asked to pay rent, back to the buyer for use of the buyer’s home until you vacate. Coordinating all the dates for closing and possession are just another reason to sell using a REALTOR. Your REALTOR may suggest verification from a lender that the buyer has been at least pre-qualified or pre-approved. Even with a pre-approved buyer, closing is not totally guaranteed, but your risk has been substantially reduced. The Buy & Sell Agreement provides a number of standard contingencies which might include the ability of the buyer to obtain a certain type of mortgage loan and any number of inspections. The inspections can include water well, septic system, complete home, termite or others the buyer might choose. The home inspector is there to provide information to the buyer regarding your home, both the good and bad points. The buyer uses the information provided to request, if necessary any corrective action that the buyer would like you to undertake. The standard language in the Buy & Sell Agreement calls for the issues to be either health, structural or safety related. Once again, the Buy & Sell Agreement has language that provides choices. You may agree to take care of the buyer’s requests and the sale will move forward. If you decide to do anything less than all the requested corrective actions, the buyer ultimately has the choice of terminating the sale or moving forward towards a closing. Unless you can afford 2 homes, your next purchase should be contingent on the successful closing of your current home. Be sure you coordinate the dates for closing and possession between the 2 sales. A closing may take place at a location of the buyer’s choice which could be a lender, attorney or title company. The closing agent will have all parties execute the paperwork necessary to transfer ownership of the property as the terms of the Buy & Sell Agreement dictate. The closing agent will disburse the buyer’s funds to pay-off your existing mortgage, transfer taxes, brokerage fee and any other expenses which will be itemized on a closing statement known as a HUD-1. The buyer will leave with a new home and you will have your proceeds check. Don’t forget, your REALTOR depends on your referrals. See agent profiles.